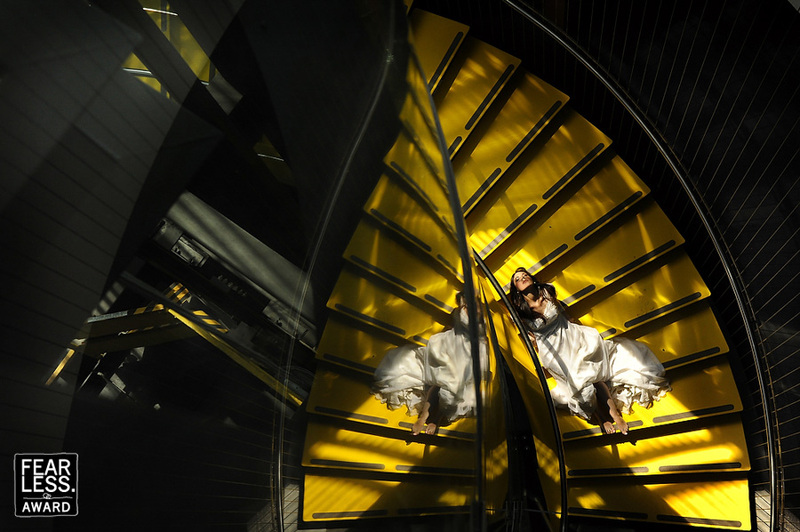 A mirrored wall, a vibrant yellow staircase, and a beam of light—together they form an irresistibly graphic setting for a portrait. Shooting from a high angle rendered the familiar architectural forms almost abstract to form an engaging composition around the reclining bride. Her pose and expression (plus bare feet) form a relaxed counterpoint to her formal surroundings.